It's the first Friday of a new month and that means the Christmas countdown begins in earnest but it also means an "elemental" challenge at Daring Cardmakers. 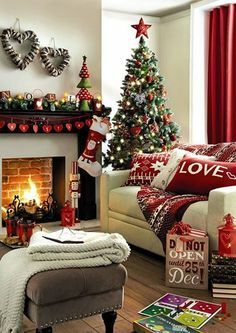 We have a very festive picture for inspiration his month (it's at the end of this post if you didn't arrive via the DCM blog) - just pick at least three elements to help kick-start your project. 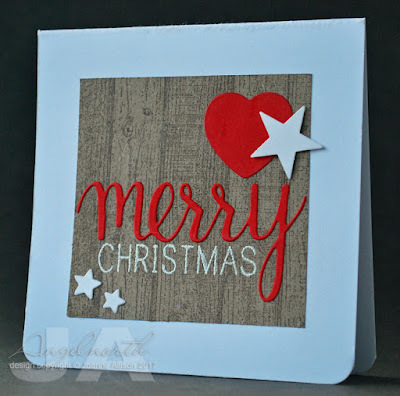 I chose the wooden floorboards, heart, five-point star, script and sans serif font combo, and the red and white from the colour scheme and made a simple card that has a bit of a Scandi feel to it, as do some of the elements in the picture. Here's the picture for this month. I love the simple layout of your card and how clever you combined the elements. I looks very Scandinavian indeed!